· Waist Belt for E commerce Bags to keep Bag sturdy while riding. · Large Side Pockets on Both Sides of the Bags to Keep Extra Belongings. · Plastic Pads Given at bottom to avoid Material Damage when loaded. · Handle Option Available to carry bag While Walking or in Elevators. · Light weight Rider Friendly E commerce Bags. · Customization Option Available on Bulk Orders. · Print Option Available on Front. · Large Size E commerce Delivery Backpack. · Inner Dimensions as 18 Length * 16 Depth * 22Height (Inches). 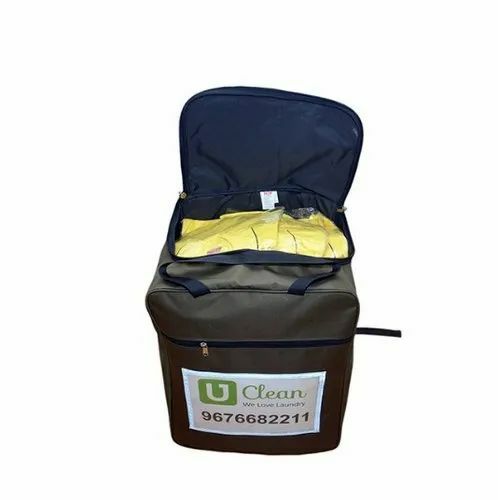 · Can be used for Laundry Delivery, Grocery and Vegetables Delivery.